It is the middle of the month already, where did the time go!! Seems to me that the time is going faster and faster each month. At the rate it is speeding away, I won't even know the month is here before it is gone. 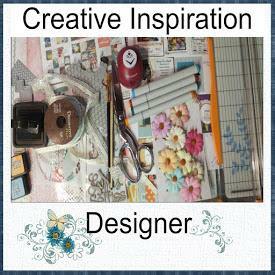 Over at WeScrap Ally gave us this challenge: My challenge for you this month is to create a card or layout using some kind of trendy image. I see a lot of birds, owls, chairs, bicycles, typewriters and trees! Let's see what you can come up with using one of these trendy images. This is what I came up with. I used BG's Marjolaine papers. Bazzil cardstock. I used two stamps, the bird stamp is from Autumn Leaves and the cool kitty stamp is from See D's. The flowers are cut from the paper and then embossed with UTEE. 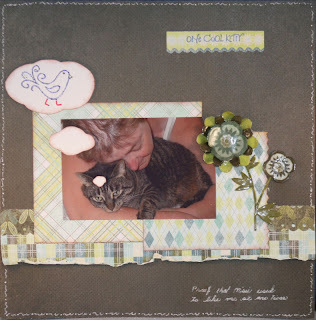 Over at Sisterhood of Scrap, Colleen threw out this challenge: My challenge today is to use at least 2 different punches on your layout and some bling and a something with that has been crocheted (it can be crocheted ribbon, a flower or trim you have taken off something before you threw it away). This is what I came up with. Echo Parks Winter Time papers. Flower in upper left hand was crocheted. Flower bottom was hand made using eyelash fibre. Snowflake was handmade using fibres. 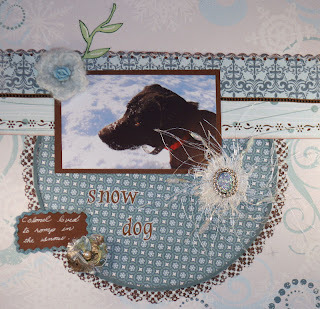 I used a MS edge punch, a Fiskar edge punch and a Paper Studio edge punch. Centers for the flowers are broken bits of jewelry. The center for the snowflake was a piece of a necklace with a missing stone, I filled it with stickles. 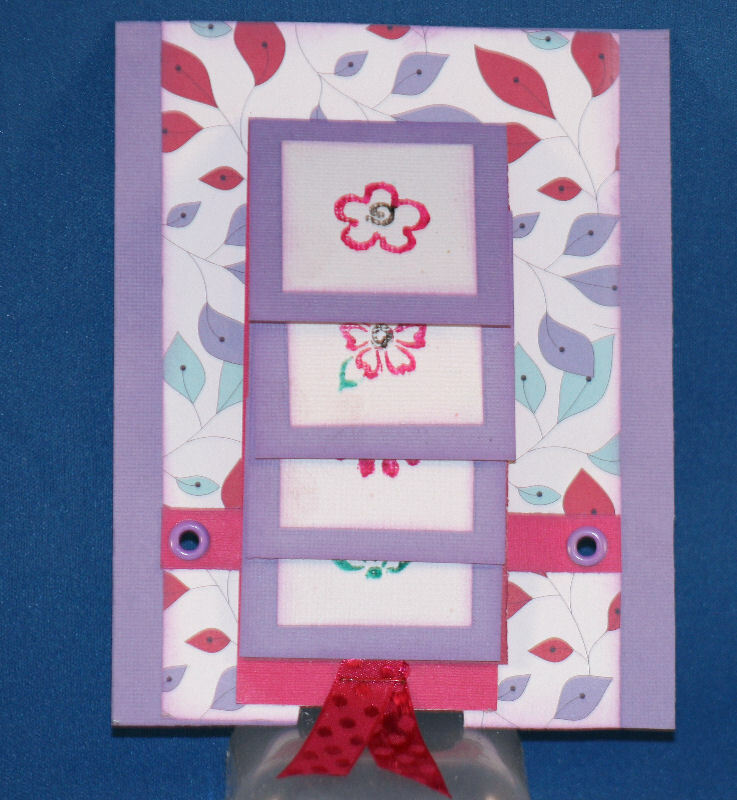 Stephanie's challenge for February (SOS) was to create a waterfall card. Since I used all scraps I can't tell you what papers I used and I have no idea where the stamps came from since I got them in a RAK. I recieved the most gorgeous RAK of flowers from my friend Colleen and I just couldn't wait to use some of them. This is the flowers that I got. Aren't they just the most beautiful things? Anyway I have this very old polaroid photo of me and Alan so I decided to scan it and scrap it. 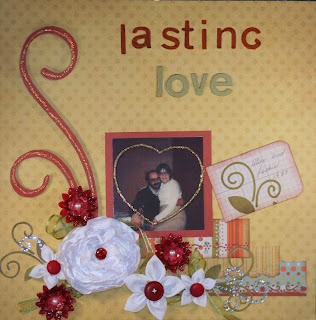 I used We R Memory Keepers, Grandmas Kitchen papers, some of the flowers from Colleen and some that I made. I used two Paper Studio punches and one Martha Steward punch. I also used white stickles and bling from the dollar store. WTG Jackie!!! Love the layouts!!!! Oh Jackie, those are gorgeous! I truly love the last LO especially... what a treasure that photo is! Colleen's flowers look beautiful on it. Everything looks great- WTG! Stay safe and warm in your storm! whohoo ~ a rak from colleen ~ doesn't she make the kewlest flowers! that's awesome chickie!